It’s time to ring in the New Year, and what better way to do so than with a clean slate. Though we recommend starting 2016 with a clean home, if you’re short on time, we recommend devoting what time you have to cleaning your bathroom. As one of the most important rooms that you visit daily in your home, it deserves some TLC! Not quite sure where to begin? Start with cleaning your toilet. 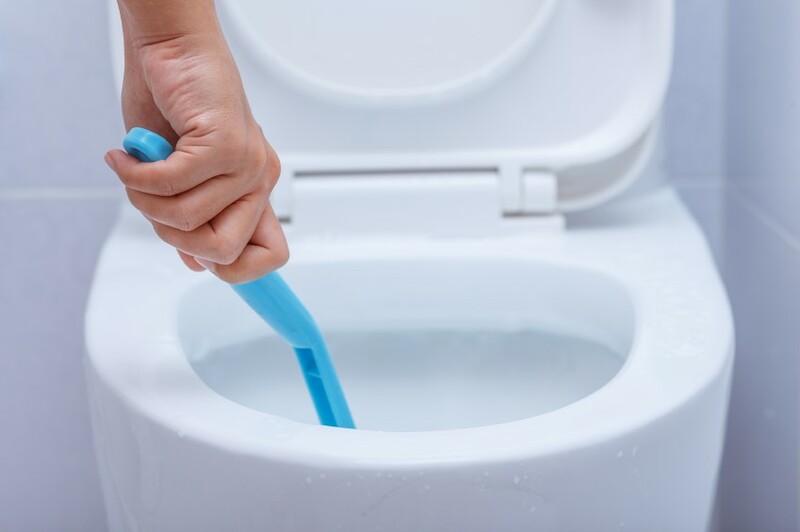 An eco-friendly option includes sprinkling your toilet bowl with baking soda and then spraying white vinegar over it. Let that sit for a few minutes while you move on to wiping down your sinks and countertops. Proceed to empty your waste basket and then return to scrub your toilet. Are your drains slower than they should be? You can clean your drain quickly by pouring ½ cup of baking soda down the drain followed by ½ cup of white vinegar. After 5 minutes of letting this sit, wash it away with some boiling water. Keep your mirrors streak free with the use of glass cleaner and newspaper. Newspaper will leave your windows sparkling and spotless. After your initial cleaning spree, using a cleaning schedule in 2016 can make keeping your bathroom clean a breeze. Daily items include keeping towels and dirty laundry off the floors, wiping water spots off your mirror as soon as they happen, and spraying a daily shower cleaner on your glass doors. Dust and hair can gather on the floor quickly, causing your bathroom to appear dirtier than it actually is. You’ll want to sweep at least once a week. Doing these simple items will allow you to keep your bathroom clean in less than 30 minutes a week. What’s great about cleaning schedules is that there are several to choose from! Choose to clean every day, every few days, or if you’re not very messy, you can get away with cleaning once a week. For lists and written bathroom cleaning schedules, visit Pinterest for additional ideas. If you’re wanting to keep harsh chemicals out of your bathroom, you’ll enjoy this easy homemade bathroom cleaner. Combine equal parts of dish soap that you have on hand, and white vinegar in a spray bottle. Then go to town and start spraying your shower. After letting it sit for a few minutes, wipe away with a sponge, or used dryer sheets. This powerful, and budget-friendly, mixture will quickly becoming a bathroom cleaner staple. Get a head start on spring cleaning by starting this weekend with a clean bathroom for 2016! wow, thanks for sharing such a great information. being an IICRC certified carpet cleaning agent I agree with all the points that you have shared with us. Cheers!! !